Last summer, I said I thought Liverpool should sell Luis Suarez. There were a lot of reasons behind it, but most of it boiled down to the fact that Suarez was one of the worst high volume shooters in Europe when it came to converting shots into goals. 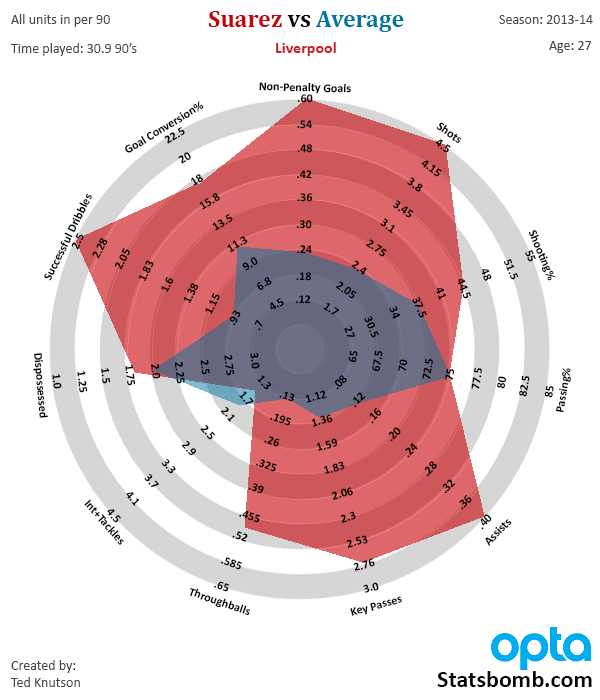 A non-penalty conversion rate of 8.7% in his first season in the league, followed by another of 12.3% in his second season weren’t impressive enough for me to think his dribbling (also inefficient) and ability to create his own shot were enough. Liverpool were already near the limit in how often teams can generally shoot in a game (19.4 in 2012-13), and in my opinion, Suarez’ inefficiency was keeping Liverpool from taking the next step and competing for a Champions League place. Obviously, I was wrong, and Luis Suarez has been having one of the greatest scoring seasons in English Premier League history. He’s done it on the back of a conversion percentage that has improved by about 50% over what it was last season (and it was nearly 100% better for most of the season, before he eventually cooled off). What bothers me isn’t that I was wrong. If you have opinions about football and vocalize them, you will sometimes be wrong. If you make predictions based on probability, being wrong is a way of life (and I work in gambling, so this happens basically every day). If people want to pick you to bits and act like probabilities are certainties while ignoring all the positive stuff, there is not a damned thing you can do about it. I have reviewed my work fairly regularly on this site, both when it comes to player analysis and to predictive models, and will continue to do so. I’m actually quite happy with the player modelling I’ve done over the last two years and ability to pick out likely transfer bargains via stats. I’m less happy with the predictive modelling and certain mistakes I made early in the season, but I’ll write about that another time. Anyway, back to the topic at hand, I get things wrong all the time. That’s what happens when you express a lot of opinions. What bothers me, however, is wondering if I should have expected or predicted Suarez’s conversion increase. How often do we see major leaps in conversion percentage for high volume shooters? And when we do see this, what are the possible explanations? I think I now have enough player data to take at least a back of the envelope swipe at this topic, so let’s crunch some numbers and see what we get. 1) Players must be a high volume shooter. I set the cutoff for qualifying at 75 shots in a season, with at least 9 90’s worth of playing time. The reason for this choice is that lower volume shooters are likely to encounter a lot more variance. Even 75 shots in a season isn’t a huge amount, but if I upped the number to 100, I’d lose too much sample to make this worthwhile. Sometimes you work with what you’ve got. As it is, I ended up with 100 names who had a multi-season dyad of 75-shot seasons to analyse (I counted Sturridge at LFC 2012-13 on a technicality, even though last year he had 70 shots, because I wanted to look at Liverpool players). Even this was imperfect because a few of those players had gaps between comparison seasons, but it was the best I could do. Out of the 100, I ended up with 166 dyads to compare. I would like more, obviously, but for now we’ll work with what we’ve got. The next question is, what represents a significant improvement in conversion? 3%? 5%? Conveniently, the population had an average number of shots of 100 per season and an average conversion rate of on non-penalty shots of 11.5%, for the obvious 11.5 NPG per season (once in a while, math is easy). A 4% increase would represent just a hair over 33% bump in conversion arate and boost the average goals to 15.5 goals a year, which certainly feels significant. So with a population of 166 dyads to compare, how often did we see a 4% or more improvement? Answer: 24 times, or 14.5% of the time. The bulk of those seasons were done by younger players (usually 22-24 years old), who for whatever reason made a big improvement in conversion percentages. Sturridge, Bale, and Lewandowski have both done it twice. Some of these are a bit awkward because they include guys like Tevez who transferred leagues and managers and posted a big improvement against different competition, but that’s football. Alright, based on this smallish population, there’s a 14.5% chance someone will post a big gain in conversion percentage. What about the inverse? Out of these 166 season-to-season comparisons, how many had a big fall? Answer: 27 times or 16.3%. In reality, this is about the same as the jump, as these numbers aren’t nearly large enough represent a significant difference. So 1 in 7 players will get a big bounce like Suarez did, and 1 in every 6 will hit a cliff and become less efficient. That’s more than I was expecting, but it’s still not frequent enough to call this a normal event. What might cause a big boost? Change of position, especially when wide players are played more centrally. The age curve. (On average, Forwards have their peak seasons between ages 24 and 26, which also coincides with peak male muscle mass at age 25. Thus younger players do tend to show improvement in this area. And obviously the drops tend to be caused by the reverse of these things, including getting older. Suarez is converting 17.5% of his shots with two games left to play. How good is that? Well, out of 447 high volume seasons (this number is different because I’m not looking at season-to-season dyads), Suarez ranks 46th. However, out of the top 50 seasons in that stat, only 6 are from the Premier League. The vast majority of the top 50 are taken up by players who played in Spain or Germany, which makes sense because they tend to allow a much higher percentage of shots on target as well. In short, it’s tough to convert in England. While I’m here, I probably should point out that Liverpool had a third player from this season experiencing a huge jump in conversion rate, but Raheem Sterling doesn’t shoot quite enough to qualify for the study (only 40 shots so far this year). He went from 5.9% last season to 22.5% this season though, which is in the top 5% for all FWD/AM seasons, period. One player from Liverpool with a huge bump in conversion percentage I could believe. Two players with a huge bump from the same team, I would start to get sceptical. When all three players in your front line experience a huge leap at the same time… that ain’t chance. My feeling is that this is less a “players got better” effect and more a “Brendan Rodgers found a tactical wrinkle.” Which is awesome work from the manager, because too often managers are inflexible instead of playing to the strength of their personnel. This change from Rodgers is hugely impressive, and effective. It remains to be seen if they can do like Real Madrid, Barcelona, and Bayern Munich do and maintain an extremely high conversion rate from season to season. Is a large leap in conversion rate like Suarez, Sturridge, and Aguero all experienced this season sustainable? Unfortunately, we don’t really have enough data to know. In both cases for those personnel, you are likely to have the same manager at the club next season who will employ similar tactics, so that’s a positive start. This is especially true if you think Liverpool’s change of style from last season to this under Brendan Rodgers is a significant driver of the better finishing rates for Suarez, Sturridge, and Sterling. I’m sceptical they can remain in the stratosphere for a second season in a row, if only because teams will start to adjust to what they’ve done this year tactically, and that will make it harder to score goals. I’m also sceptical because out of the 100 player sample, there are seven guys who have made a leap above 16% conversion rate and stuck it for at least one more season. They have played for: Real Madrid, Barcelona, Arsenal/Manchester United, Arsenal, Bayern Munich, Bayer Leverkusen (the world missed out on Kiessling). Oh right, the seventh one was Roberto Soldado. [Cue: Spooky Scooby-Doo music] That was obviously before transferring to Tottenham this season. It’s possible Liverpool are the new Real Madrid. But would I bet on two out of the three front men maintaining this level of finishing next season? Yikes. 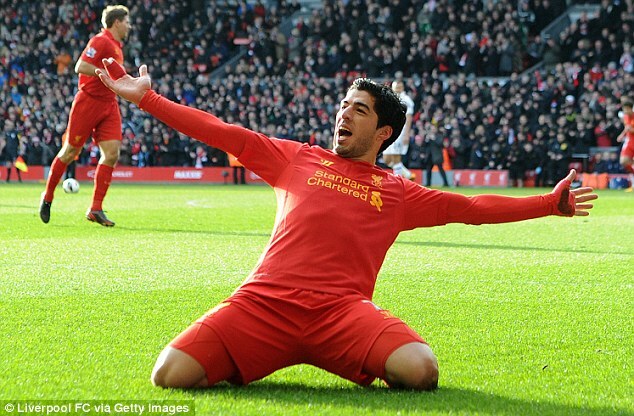 Back to the Opening Question: Should Liverpool Have Sold Suarez? Armed with just this study, should Liverpool have taken £42.5M or whatever Arsenal offered at the end? Remember, this was a player who was banned for biting Ivanovich coming in to the new season, who had also previously been banned for racist comments, and who was agitating for a move himself. The analytics community has learned a lot in the last year, and one of the big things is that the ability to create your own shots is rare. The ability to do so while having at least reasonable shot quality is exceptionally rare. Look at it this way – Andros Townsend had a ton of shots at the start of this season, but they were from an average of 25 yards out and had terrible goal expectation. In fact, he’s had 56 total shots and 1 goal so far this year, a goal which actually came off of a fluke, meant-to-be-a-cross. Anyone who can dribble and plays up front could probably be an Andros Townsend. Suarez wasn’t like that. He did shoot too often from poor angles, but his overall expectation was actually solid. He’s been one of the most prolific shooters in Europe three years running, and he’s a capable passer as well. Expect to see more about Suarez, Sturridge, and Sterling from guys like Colin Trainor and Paul Riley once the season ends, because people are going to want to unpack Liverpool shot locations and figure out what’s going on. Anyway, in light of that information, would I have sold Suarez for 40M+? I was ignorant of how rare his skills are, so even without a potential bump in conversion, he was probably worth more in the Cavani range of £55-60M instead of £40M. 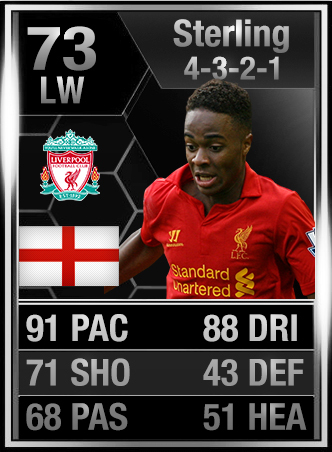 Now, after having maybe the best (or second best) scoring season in Premier League history? Add another £20M. So there you go. Some squishy math, a prediction/projection that went badly, but a whole heap of useful information learned in the process. Until next time, make sure that anyone selling you snake oil at least wears a smile.